Lists of my iOS (iPhone / iPad) applications and Windows applications are also available. Check out the list of Best Mac Apps from MakeUseOf.com too. 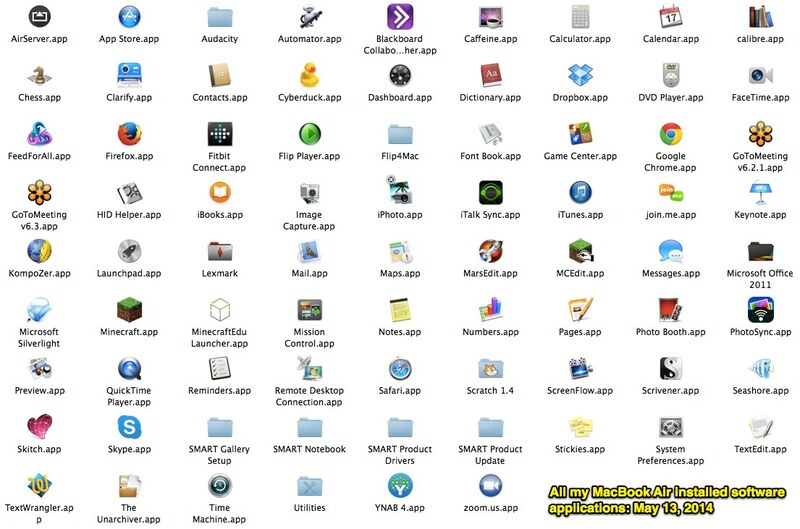 All my installed Mac OS X apps (listed alphabetically) as of November 30, 2015. This list was generated via a Terminal command. 3rd Party apps are linked to their respective source websites. 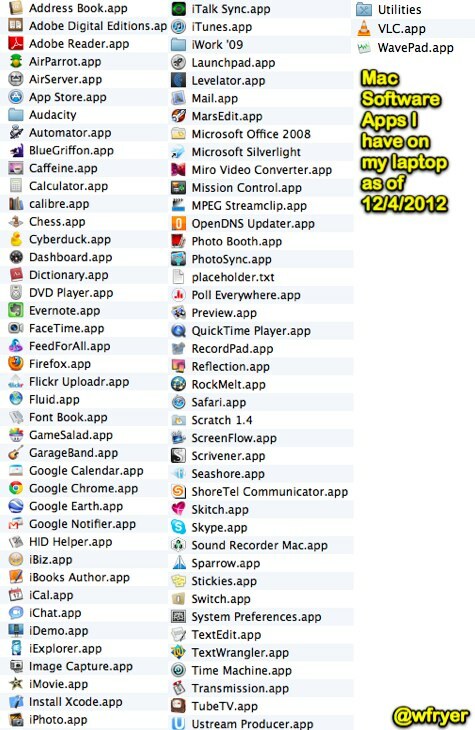 As of November 10, 2013, these are all the apps I had installed on my last Mac laptop. If I was to perform a "clean install" of my hard drive now (which I'm incidentally NOT planning to do) I'd just install a subset of these apps. 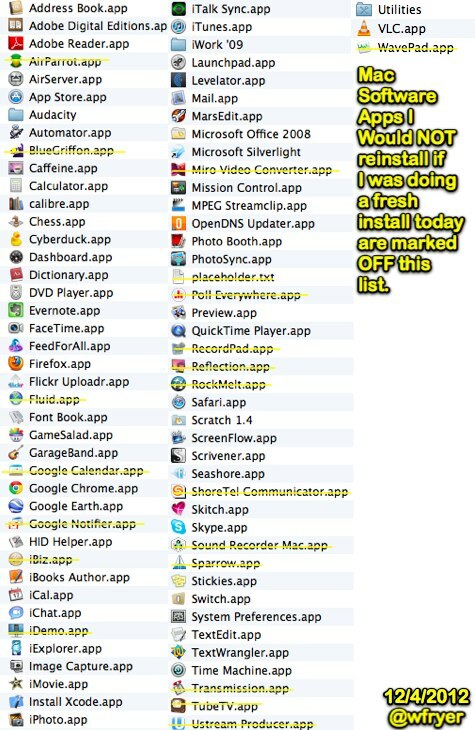 The apps I'd exclude / not install are marked out of the screenshot below with yellow lines. These WERE the applications I had on my previous hard drive before this reinstallation process. Workshop curriculum by Wesley A. Fryer is licensed under a Creative Commons Attribution 3.0 Unported License.